It makes sense to build dense cities, and use trains to move people out of them for recreation. Cities may be our greatest invention. Apparently, suburbs, are among our worst. Two out of three Americans live in a single-unit building that is not attached to another building. It’s a standalone home. The American Dream is real for so many people, it’s difficult to conceive of a shift in the status quo. The key concept is “density”—the number of dwelling units per acre. A nice American home is situated on about 1/4 or 1/3 of an acre, even nicer homes are part of acre lots. With that level of density, the only economically viable means of transportation is the car. (Lots of expense, pollution, etc.) To rationalize a bus, we need to up the game to 10-20 dwellings per acre: low-slung apartment buildings. Rail transportation begins to make sense at around 30-40 dwellings per acre, but it really sings when there are 100 or more. How do find enough space for 100 dwellings on a single acre? Don’t think in terms of ground area; instead, think up. Interesting idea, but that’s not the way America works. Instead of thinking up, we think sprawl. 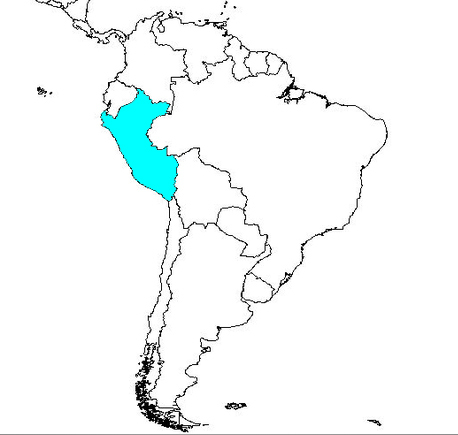 That’s a tough philosophy for the economy and the environment.. At 25 dwellings per acre, the entire population of the world would fit inside the state of Texas. Density only begins the discussion. Metropolitan areas—including cities and their suburbs—account for 90 percent of the US GDP and 86% of all jobs. The economic output of Chicagoland (city and suburbs) is greater than 42 of the 50 states. But that’s misleading. According to the authors of Triumph of the City (Professor Edward Glaeser) and A Country of Cities (Noted Architect Vishaan Chakrabarti), dense cities (New York City) are very, very good ideas, and n0n-dense cities (Los Angeles) and the vast majority of suburbs throughout the world are very, very, very bad ideas. Why? I like Mr. Chakrabati’s analysis of the self-sustaining economy and ecology of Hong Kong—a city-state where all resources are used for the good of the dense city, one that is surrounded by natural surroundings to be enjoyed by all. He contrasts Hong Kong with Los Angeles, which must contribute its considerable revenues to the state of California, and the U.S. government, leaving this metropolitan area with insufficient resources to, well, be all it can be. The same is true for most cities—they generate tremendous value, but they subsidize the far-less-productive suburbs and rural areas. In the view of both authors, what we need to do is perfect our invention of the cities not only for our own good, and for the multitude of productive relationships that result from people living and working near one another, but also for the sake of the planet. Currently, in large part due to cars, suburbs, and inefficient systems, earth’s consumption rate is about 1/3 greater than our capacity. Shift to the American consumption rate—based, largely, upon suburban lifestyles—is over five times greater than our capacity. If When some of the developing economies reach the U.S. consumption rate, we’re more or less doomed (authors love to write this kind of stuff). We’ve all read the stories before: more commuting means less happy marriages, greater obesity rates, and (no surprise) a much higher per-capita rate of gun ownership. Here, it’s easy to understand the growth of cities and the rest of America in terms of red and blue states. Many of the largest U.S. metropolitan areas are located in blue states: east of the Mississippi River and north of North Carolina, and along the Pacific Ocean. But the U.S. government and the U.S. economy is not built to support cities. That’s why we spend more than twice as much on highways than air and rail travel—both far kinder to the environment, and in the long run, far more efficient. Instead, we support suburban living. We build more roads to more places, and more cars show up to take advantage of lost costly single family homes just that much farther away from the city center. What’s more, for every one taxpayer who takes advantage of the Mortgage Interest Deduction to achieve the American Dream, three do not—simply, Americans subsidize home ownership in a very significant way. Should we? According to Mr. Chakrabati, the answer is no. Instead, he suggests that we fund a much more robust, livable, safe, easier urban lifestyle by eventually shunting those funds, and a roughly equal amount raised by a $1 increase in the Federal Excise Tax, to generate $3.5 trillion dollars to improve “economic and social prosperity, environmental sustainability, and equalizing real access to the American dream of home (but not necessarily house) ownership. A special shout-out to Ryan Lovett who filled many pages of A Country of Cities with clear, direct illustrations, diagrams, charts, graphs, and just a few infographics. The result is an extremely appealing combination of a visual book that’s easy / fun / provocative to browse, and the well-c0nsidered arguments presented in detailed text by the author. At first, I simply enjoyed holding and paging through this elegant book. In time, I came to appreciate the reality of Mr. Chakrabati’s vision in terms I could understand: his SHoP is a top architectural firm responsible for Barclay Center, a multi-use arena that will anchor the future of downtown Brooklyn, NY with (you knew this was coming) a very high-density series of structures with massive amounts of homes, offices and retail, plus open areas that make city life that much more livable. In fact, Barclay Center is walking distance from an earlier version of urban planning success: Brooklyn Botanic Garden, and the classy old apartment buildings nearby. Here’s a look at SHoP’s plans for a high-density development surrounding their Barclay Center area in downtown Brooklyn. This is provocative stuff. And, happily, it’s best presented in the form of a solid $30 hardcover book from a publisher whose work impresses me more each season: ARTBOOK / D.A.P. / Metropolis Books. Although I am probably late to the game, I just discovered two very useful tools. The first is a blog post and the second is the blog itself. The article explains the available hardware and software, then provides several case studies of users who have cut the cable, and ends with a very useful list of other articles on the subject. The blog is stupendous. Here’s local, national and international news and commentary on shifts in just about every modern media industry. The coverage gets down to the hyper-local level, and also offers an extremely wide view of, say, the recent announcement of a merger between two of U.S. publishing’s giants: Penguin and Random House (the latter wins). That article, and this blog, does what so few do: it provides context. So the article about book publishers looks not only at consolidation’s impact on publishing, but also compares the situation with consolidation in the music industry. Kudos to PBS for this lesser-known project. 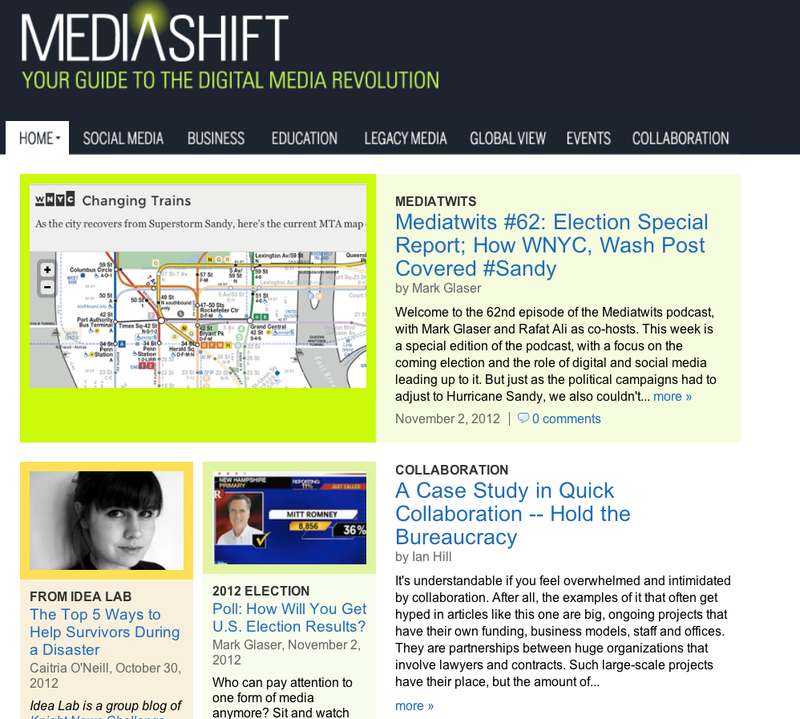 I now plan to read Media Shift every day. 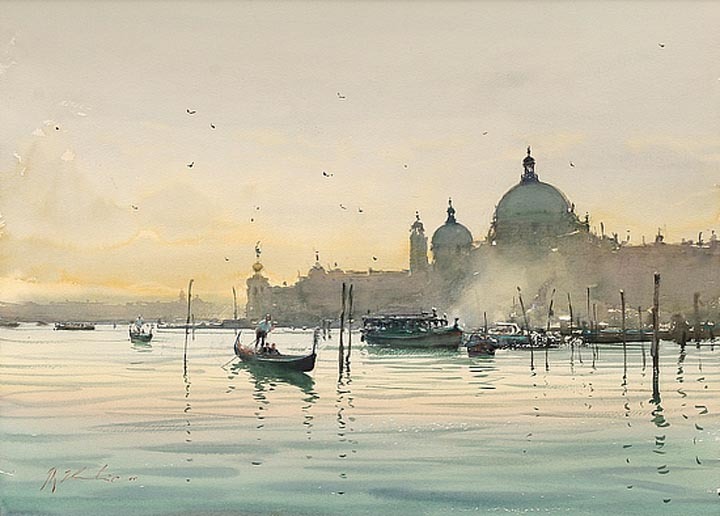 Joseph Zbukvic is one of the world’s best watercolor painters. 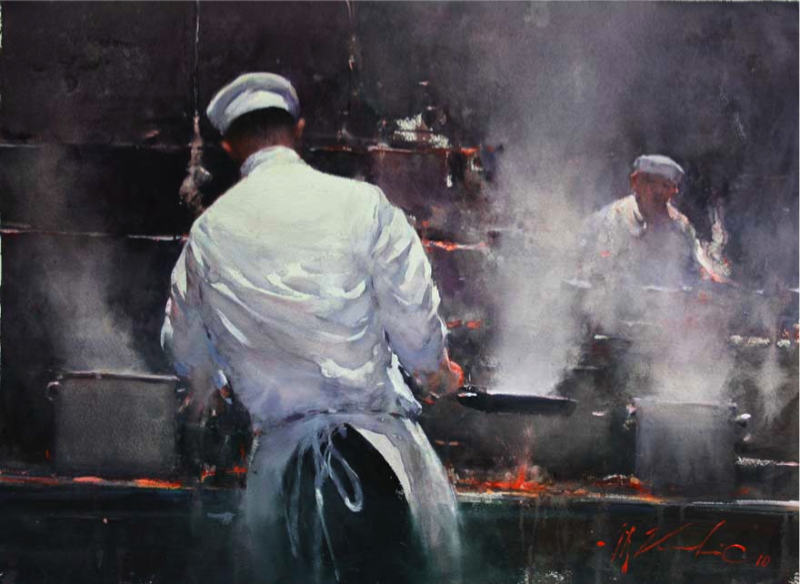 In an era when technology dominates art, it’s wonderful to see what this man can do with paint, water, brushes and paper. I encourage you to watch the entire 20-plus minutes of the video (link below). If you want to get right to the good stuff, pick it up around 2-3 minutes in. This is an Australian TV series. Put Some Colour in Your Life. You will want to start paying close attention when the artist begins his version of “working in Photoshop”–a digital-free approach to thinking through a picture. I watched, I paint, and I learned more in twenty minutes than I’ve learned from dozens of how-to books. This is phenomenal work, gimmick-free, technology-free, just the good stuff. Click here to watch. Here’s a look at some of the artist’s work. Be sure to visit the gallery section of the artist’s website. Above, an elegant way to think about the global creative economy, as presented in a 400+ page United Nations report. 1 in 25 people–that’s the revised figure for 2010–work in creative industries in the U.S. More than doctors, lawyers, even accountants. Industry sectors above, details below. In the United States, roughly 150 million people work full-time. Six million of us work in creative professions. We’re writers and performers; musicians and visual artists; marketers and strategists; architects and specialists who invent, improve, or bring ideas to life. In total, more people work as creative professionals in the U.S. than doctors (700,000), lawyers (800,000), accountants (1,300,000), and engineers (1,600,000) combined. The number of creative professionals exceeds the number of teachers (3,500,000 teachers pre-K through high school, plus 1,700,000 more who teach in colleges and universities). Our output–which provides employment for lawyers, accountants, executives, retailers, and many others–is responsible for more than ten percent of the U.S. Gross Domestic Product. A reasonable global workforce estimate would exceed 10 million creative professionals. Nations with significant creative economies include Germany, the United Kingdom, France, Italy, the Netherlands, Ireland, Japan, China, India, Canada, Australia, and, among countries with developing industries, Mexico, Thailand, Indonesia, Argentina, Singapore, and Chile. According to the United Nations Creative Economy 2008 report, the export value of creative in 2005 was over $300 billion, or about 2-3% of the global economy. (Yes, I am reviewing the 423 pages of the 2010 report to update these figures–overall, trends are up). 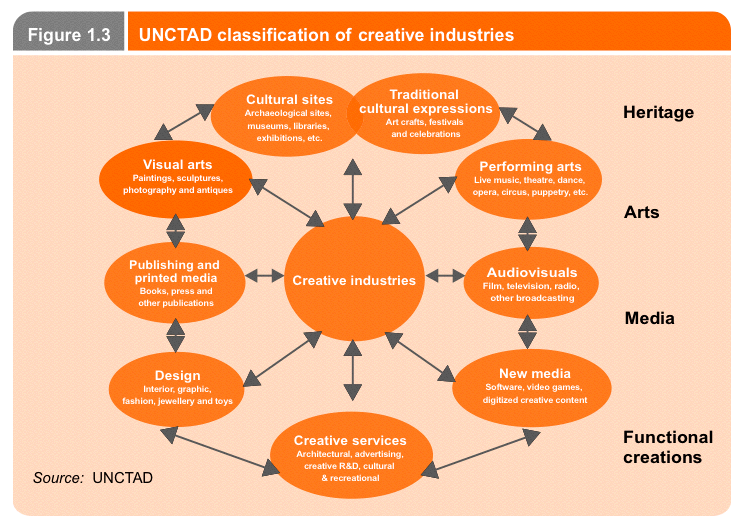 The long list of creative industries was nicely summarized in the 2008 U.N. report, presented at a United Nations Conference on Trade and Development. The orange version, above, makes it all that much more clear. 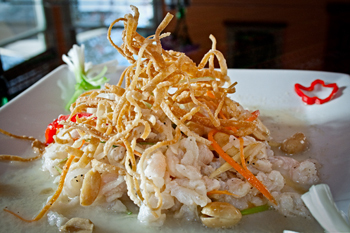 Within each of these clusters, the professional model is similar. Projects are developed, produced, and distributed. Mostly, revenues are generated through direct transactions with individual consumers (movie admissions; DVDs; iTunes downloads;physical goods such as jewelry), sometimes through subscriptions; or by advertising to consumers who receive goods and services by paying only a modest transaction fee (magazine subscriptions), or no fee at all (most internet sites; broadcast radio and TV).